Hannah Harvey, Isaiah Cordova, Joy Webb and Sarah Bubke contributed to this Election Feature. 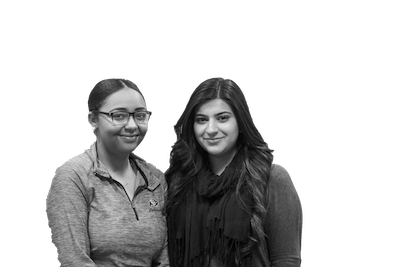 Sierra Brown, junior English and communication double major, and Laveen Khoshnaw, junior biomedical science major, are seeking to bring unity to both the campus community and SGA as part of their presidential and vice presidential bids. “I think that SGA definitely needs a united leadership team who is ready to not only re-inspire the study body, but re-inspire SGA members because they’re part of the reason things get done and change happens,” said Brown, who is running for president. According to Khoshnaw, who is running for vice president, their campaign is seeking to act as a bridge between students to faculty and within clubs and organizations. Both Brown and Khoshnaw served on the Judicial Board, Brown as chief justice and Khoshnaw as associate chief justice, until they decided to run for president and vice president. Brown attributes finishing the SGA bylaws and restructuring the Judicial Board to improve turnover as some of their strengths in executing initiative in SGA. “We were able to re-inspire some of the people that were already in (the Judicial) Board and can do a lot more than be the placeholders of SGA,” said Brown. As students from two different fields, Brown and Khoshnaw believe that they can represent every mindset and experience on campus. Plans include spearheading a collaboration between Colorado College and UCCS. “Because we’ve been in this position of serving students for so long, seeing so many branches of the campus, I think we really have a foundational understanding of what UCCS students want,” said Khoshnaw. “We’re just trying to be that avenue that students can really use,” said Brown. 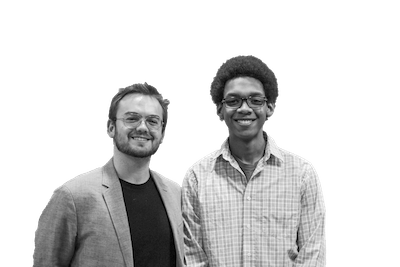 Junior Augusto Tomszay, sophomore Philip Oke-Thomas, both political science majors, wish to advocate for three main tenets of improving campus life in their campaign platform. 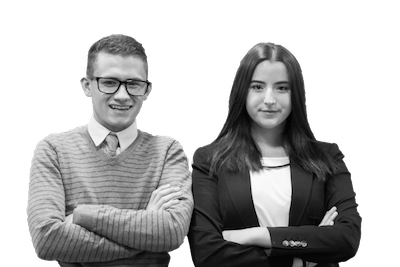 Their ideas include increasing campus inclusiveness, advocating for environmental awareness and bring more activism into SGA. “At the end of the day, education is our foundation for everything: the way our ideas, how we see the world. It’s essential for the human,” said Tomszay, who is running for president. Tomszay and Oke-Thomas would like to inform students on environmental issues, such as the Drake Power Plant in downtown Colorado Springs. Both candidates also expressed support for the referenda such as the Green Action Fund Fee and the Media Fee this election cycle. Tomszay, who is running for president, became a student-at-large this semester and has actively sought funding proposals through SGA and the Green Action Fund for his club, Formula Electric Society of Automotive Engineers. Oke-Thomas, who is running for vice president, does not have SGA experience. However, they both believe that their synergy will benefit SGA. Tomszay said that their ticket has spoken with Andrea Herrera, vice chancellor of inclusion and diversity, to implement of their ideas for increasing cultural inclusiveness on campus. “We want to be a voice for the student body,” said Oke-Thomas. “We see SGA as a team. We don’t see it as Senate or as clear divisions, but we’re students; we’re growing adults. To work effectively and achieve all that we want to achieve, we have to work as a cohesive unit,” said Tomszay. Sophomore philosophy major Ashley StClair and junior political science major Devon Johnson hope to “bring democracy back into SGA,” solve issues with ticketing and increase awareness of mental health on campus. StClair, who is running for president, and Johnson, who is running for for vice president, are part of the Young Americans for Liberty club on campus. StClair serves as president, while Johnson serves as the secretary. The passing of SB.07 SGA Recognition Bill, which provides a stipend ranging from $300-$400 for members of the Executive Council, inspired StClair and Johnson to run. Their ticket believes that the money for the bill is being used in a biased and irresponsible way. “We want to bring financial responsibility back into SGA. We want leadership back in SGA, and leadership is looking out for others; it’s looking out for the student body, and they haven’t done that,” said StClair. “(Fiscal responsibility) is the most important thing. Student government has one job and one job only, and that’s the overseeing of the Student Activity Fee fund, and that’s for student activities, not for anything else,” said Johnson. Parking is also an important tenet of their platform, said Johnson. Ticketing is one specific part of this tenet that matters to StClair and Johnson, who believe that ticketing until 10 p.m. is unsafe for students. Their ticket also believe that increasing awareness of the effects of drugs and alcohol in relation to mental health should be advertised more, according to StClair. “We want to improve the retention rate, and we really think it’s important for freshman, especially those with mental health issues, to know the effects of drugs and alcohol,” said StClair. Johnson and StClair will benefit students by “giving them their voice back,” said StClair. “We’re giving them a say, we’re giving them an education on what’s going on and we’re making sure they have a good experience here,” said StClair.